How many times have you avoided starting something because you knew you couldn’t do it perfectly? I almost didn’t write this post because I couldn’t think of a title. Think Pink? No, cheesy. Something…about fall? Come on, Hannah, you’ve exhausted every possible fall quote. I think most of you who read this blog know me personally, but sometimes strangers reach out and let me know they follow along on here or Instagram (hiiii Internet friends! Keep it coming! Words of affirmation is my love language!). I’m always worried that my sense of humor doesn’t translate through the screen and people are left thinking Is this girl for real??? Because I’m a frustrated perfectionist, I often will scrap a whole project before it even begins if I don’t think I can complete it exactly how I envision it in my mind. Or I’ll let my room become a complete mess if I can’t find a place for a single pair of shoes. Why even bother if it isn’t ever good enough? You improve through daily practice, not by leaps and bounds. Natural talents and gifts are a blessing, but they can work against you if you grew up not having to work hard at anything to do well. Sometimes things don’t come naturally, and success is incremental. This is especially true with things like working out: we all want a six-pack and toned calves after our first day at the gym, but rarely are we willing to put in the work, little by little, every day. Failure isn’t the end of the world and is a valuable learning tool. Trust me, I’m saying this for me as much as you. I am so afraid of failing that sometimes I won’t even try. But failure is feedback, and it helps you figure out what to do differently next time to succeed. You are more valuable than the sum of your achievements. This reminder comes from an article I read by psychotherapist Katherine Schafler on Thrive Global. She says that “people connect most to the ordinary things about you,” like the way you can’t decide what to order at a restaurant, the long-winded voicemails you leave, or the way you play with your hair when you’re bored. In contrast, she says during therapy sessions something that people never say are things like “I miss the way he got a 3.8 GPA in college.” We’re proud of the accomplishments of our friends, lovers, and children, but when we really start to list the reasons we love them, those reasons have little to do with success. This happens every year. Every single year I get prematurely pumped for Spring and take my sundresses out of storage, pack up my heavier sweaters in a box in the closet, and start browsing pastel sandals online, only to be hit by a blizzard. The mild December weather always tricks me into thinking that we’ll “skip” winter this year, and even though I know this always happens, I still can’t help but get my hopes up. I am so over all the sweaters and lumpy layers and Hunter boots. Even my favorite black coat is starting to drive me crazy-the sleeves are made of a faux-leather material that squeaks when I move my arms, and every time I hear it I am again filled with rage that I have to wear my heaviest coat in March, post-daylight-saving. 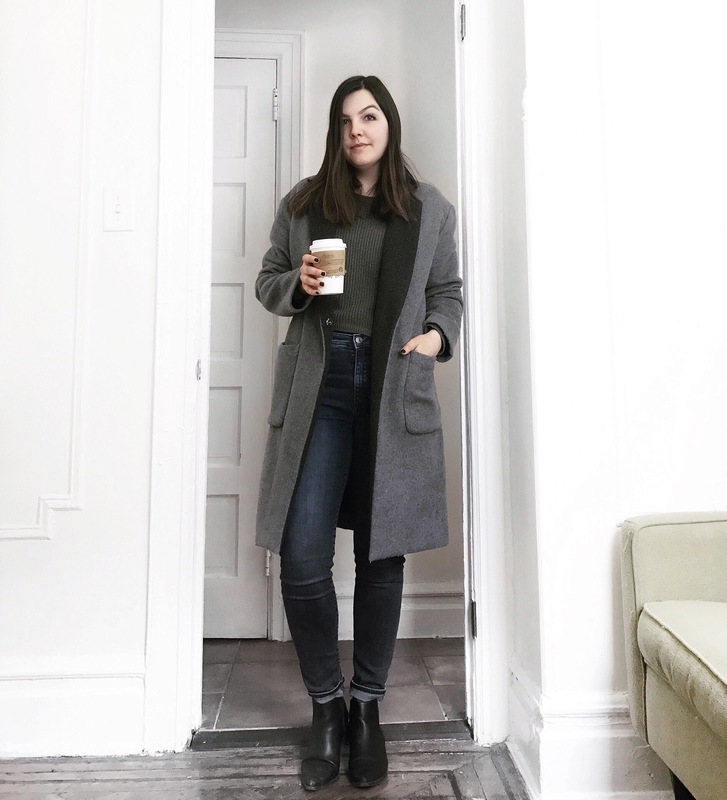 If you are also bored by all of your winter clothing options but unable to buy an entirely new wardrobe to wear for the few remaining weeks of winter weather, this is for you. Here are my best tips for ~spicing things up~ without ~spending all of your money~. I am lucky enough to have very cool, well-dressed roommates who are also very generous when it comes to sharing closets. 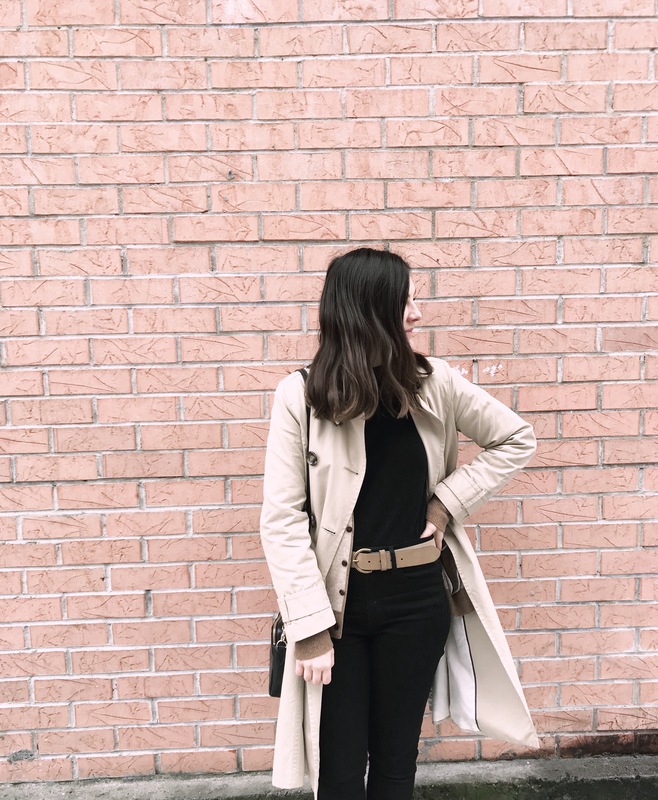 We often swap items for the day when we’re feeling exasperated with our own options, and it is so refreshing to wear someone else’s clothes instead of your own! If you don’t have roommates (or if your roommates aren’t cool, bummer) then find a friend with a similar style and swap a few items. I do this several times a year with my best friend. I purge my closet and let her go through the clothes that don’t fit or aren’t really my style any more, and she does the same for me. Anything unwanted gets donated. The whole point of this post is that I don’t want to spend tons of money on clothes that I’ll pack away in approximately four weeks and trade for sundresses and sandals. But accessories are an inexpensive way to give some interest to your most-worn outfits. Add fishnets under pants, a silk scarf around your neck, or a belt to change up your go-to outfits. I know. Duh. There is not a single blog or fashion magazine that hasn’t mentioned the importance of layering when it’s cold. I’m just suggesting you change things up and not wear the same old layers. I have three or four go-to outfits that I know look good and are flattering, and I can put those together in my sleep–usually because I am half-asleep when I race out the door for work before I’ve had my coffee. When I have extra time, I like to change things up. I wrote a whole post about this, so if you want to read more, you can here.